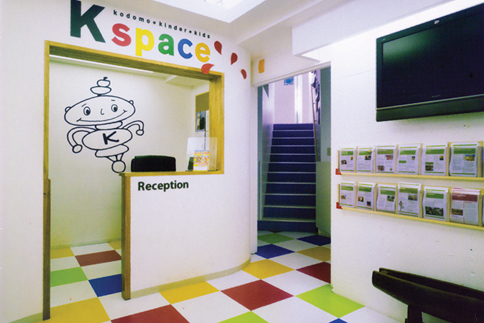 Kspace is located in a very impressive building in Shirokane. 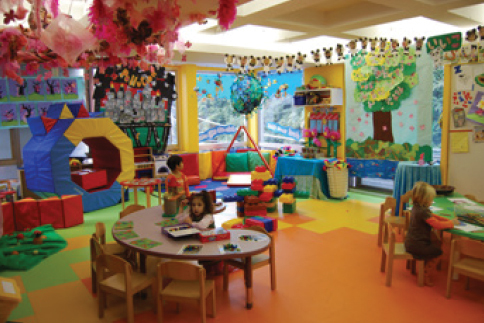 In collaboration with prestigious architects and child specialists, we created the ultimate facility, with state-of-the-art safety and esthetic features throughout. Our location is quiet, surrounded by nature and amongst a loving community. We welcome you to come and take a look around our school. As soon as you step inside our school you will ‘feel’ the difference! Our enclosed play area has great views of the nature reserve. 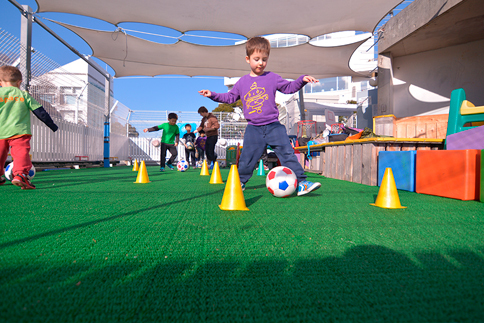 Fully equipped with soft padding, water/sand play, climbing and games equipment, football space, basketball nets and a tailor- made sun awning. 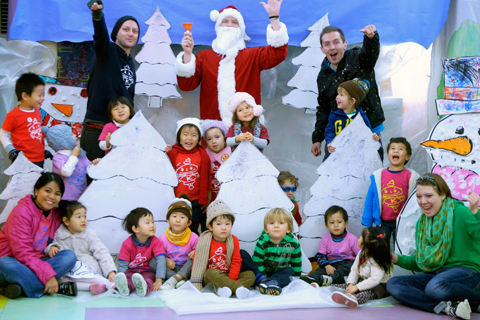 We are situated within easy reach of many areas of Tokyo. Our distinctive building sits in a wide, leafy avenue, allowing access and stress-free drop-offs and collections for busy parents! 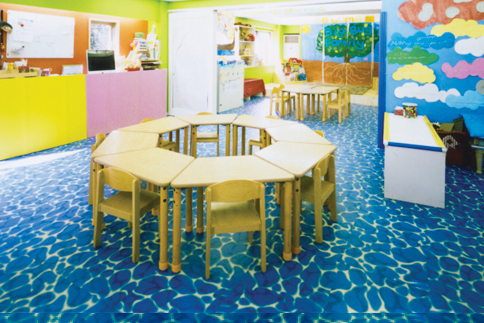 Drama, media presentations and art exhibitions come to life in this beautiful underwater themed room! 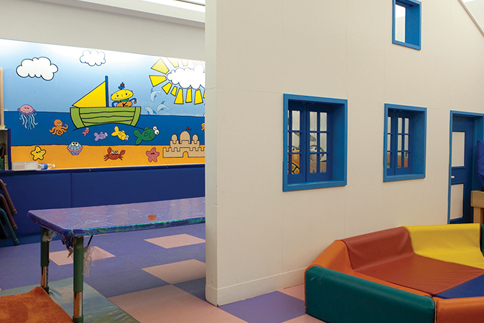 Our wavy stage is a perfect platform for the many performances and music recitals that our children put on. This room is great for after-school dance shows too. Our Kindergarten pre-graduates spend their final terms here, in a classroom atmosphere conducive to exploration and focused study. 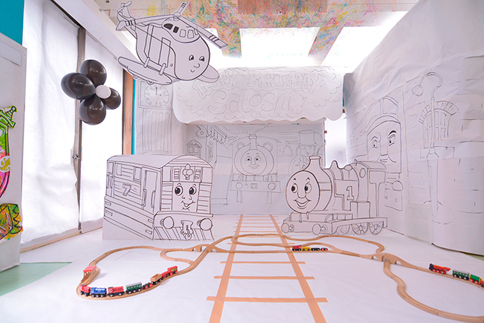 The bright setting becomes a canvas for the children’s in-depth and varied project work. This happy classroom is a permanent display of the middle school’s fantastic work. 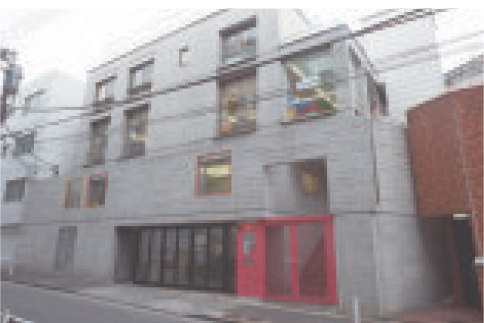 Our kindergarten children are exposed to a superb range of subjects and materials, and their room has many key areas for learning and creativity. 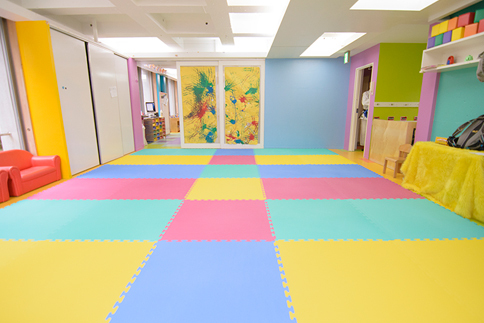 This room houses our mini-pro gymnastics equipment, which can be assembled to offer a variety of fun and essential physical challenges to our older age groups. 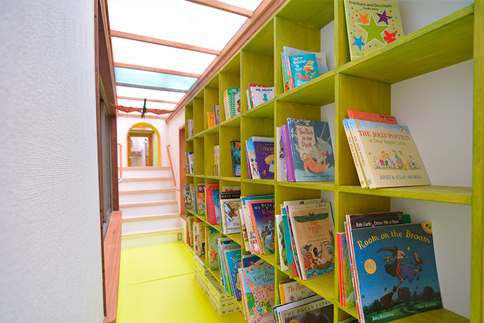 This colourful storage and library passageway is a bridge between buildings and a fantastic feature that lets light flood in and houses some fantastic equipment. 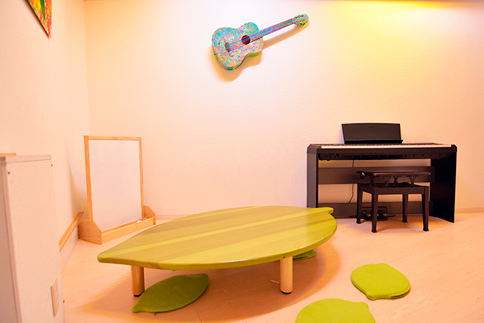 This cute extension offers a private space for tutorials, meetings and music lessons. It is home to our interactive white board and other tools for Upper School project work. 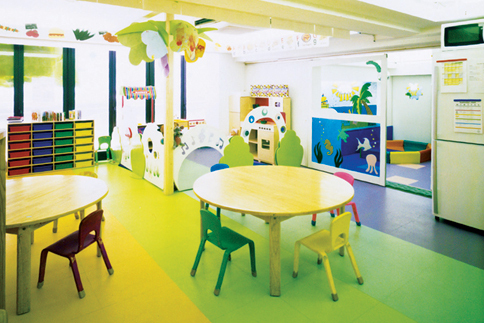 Our Lower School/preschool children enjoy designated areas of this floor, where we have a huge range of props, educational toys, percussion instruments, art materials and tools to enrich curious minds and busy bodies. 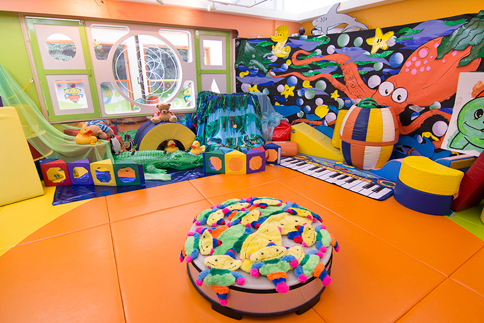 When our tiniest students need to nap they enjoy our ‘Cocoon Club’ – an especially cosy spot with cots, blankets and a sense of security.